Having a photobooth at your wedding will ensure you capture the most unique and priceless photos of your guests, while sending them home with the best party favor ever! 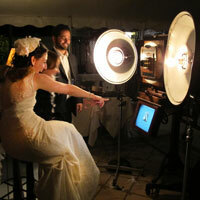 Vintage style photo booths are the most sought-after photo booths for weddings and events throughout NYC and Long Island. Capture the beauty of old-world nostalgia with our Antique Studio. We love working with our clients to create unique custom photo booths, and offer a variety of products including social media integration and branded keepsakes for wide brand exposure. 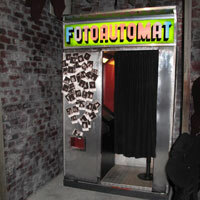 NYC Photobooth was hired for my daughter's wedding. They were prompt and professional. All we had to do was to provide the props. Our guests enjoyed dressing up for silly photos or just have a regular snaphot of themselves individually or with groups. The technician was available at all times to oversee the proper function of the booth, which ran smoothly all evening. 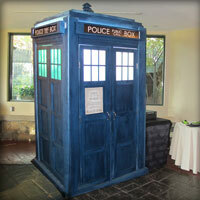 I would definitely recommend their services to anyone looking to add a fun dimension to their event!